An evening of glamour and glitter is promised at the Oscar Night Party at the Kate, March 24. 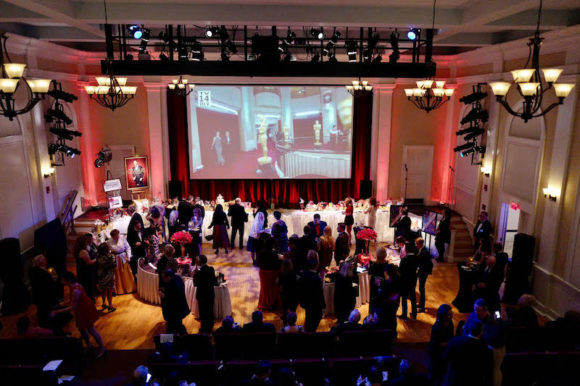 The Katharine Hepburn Cultural Arts Center (the Kate) transforms into a glittering, Hollywood-esque venue for its Oscar Night Party on Sunday, Feb. 24, beginning at 7 p.m. at the center located at 300 Main Street, Old Saybrook. This annual red-carpet fund raising event honors the Kate’s 12-time Oscar Nominated, 4-time-winning namesake and makes for an entertaining evening. Proceeds support quality performing arts and cultural presentations at the Kate throughout the year. 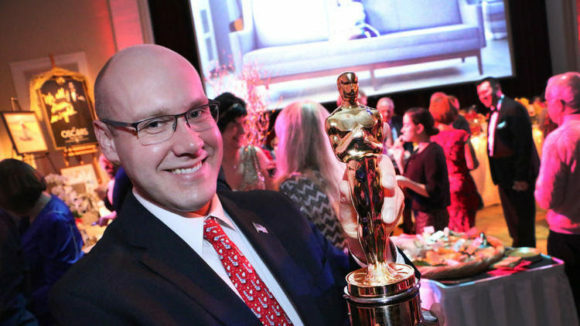 State Rep. Devin Carney holds the Oscar won by his grandfather Art Carney. The Oscar will be on display at the Oscar Party to be held March 24 at the Kate.